Premiere on Pine | Cary Kopczynski & Company, Inc. 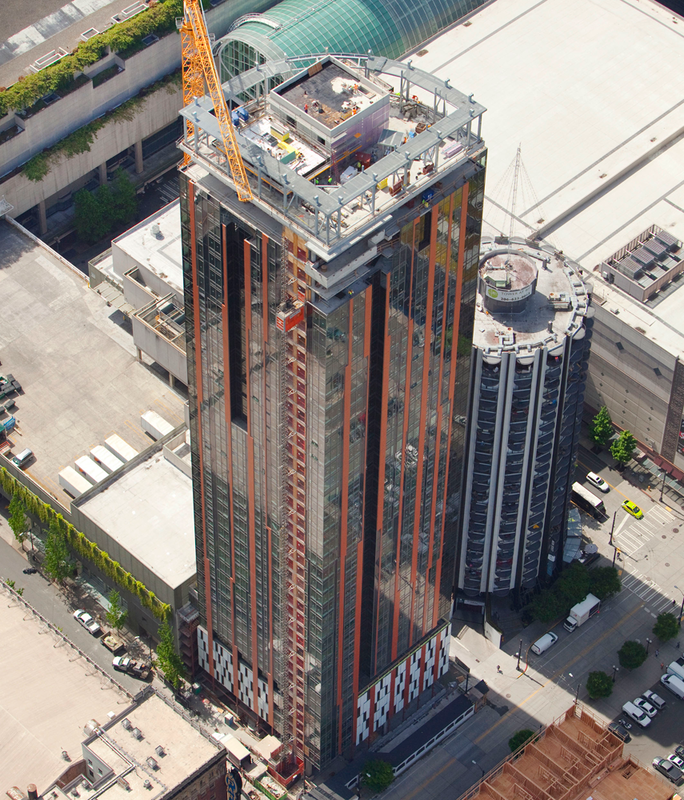 Located at Pine Street and Ninth Avenue just west of the Paramount Theater, Premiere on Pine has recently joined Seattle's skyline as one of the tallest residential towers in the city. 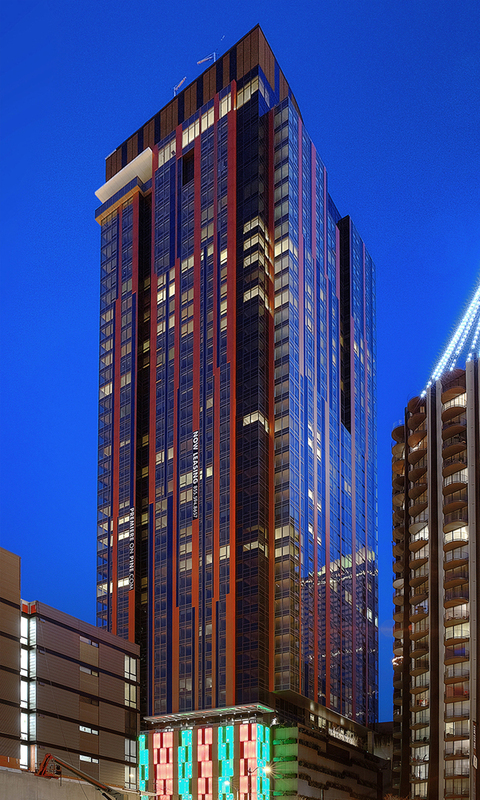 At 440 feet, this 42-story building features 386 apartment units, a hotel-inspired rooftop Sky Lounge, and five levels of parking above grade with five levels below. Construction started in August 2012 and finished early 2015. A small site and floor plate posed significant design challenges. The team responded with a core-wall seismic system using a performance-based design to maximize structural efficiency and provide a high ratio of net to gross floor area. 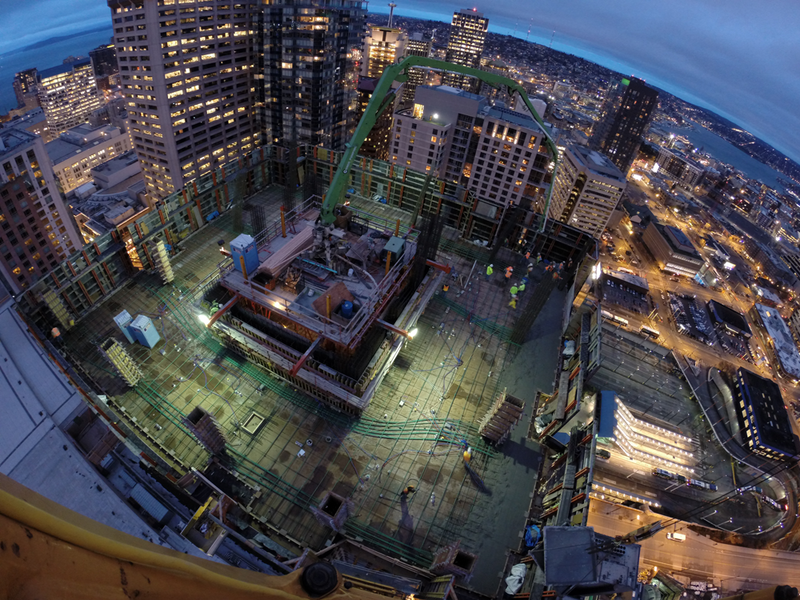 CKC took maximum advantage of the high-strength concrete available in the Seattle market. 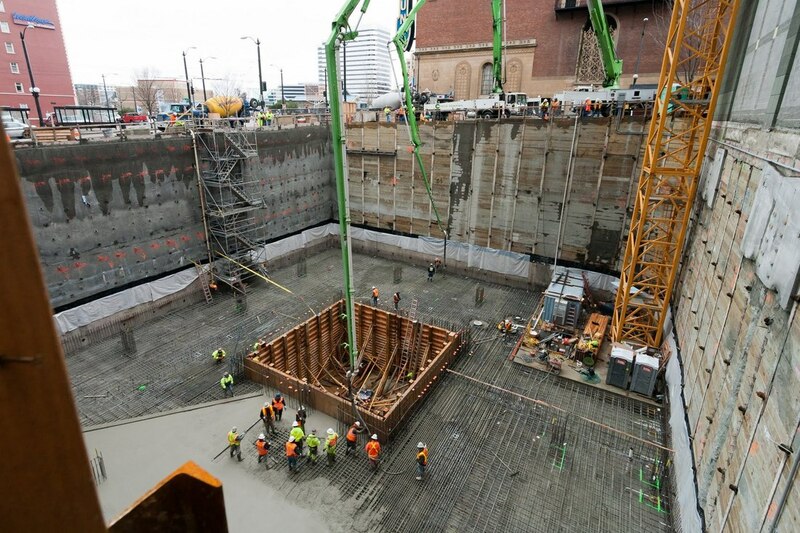 Premiere on Pine is the first building in Seattle to have a specified concrete strength of 15,000 psi in its columns, reflective of steady advances in concrete materials technology and understanding over the last several decades. This resulted in smaller columns than for typical towers of this size. 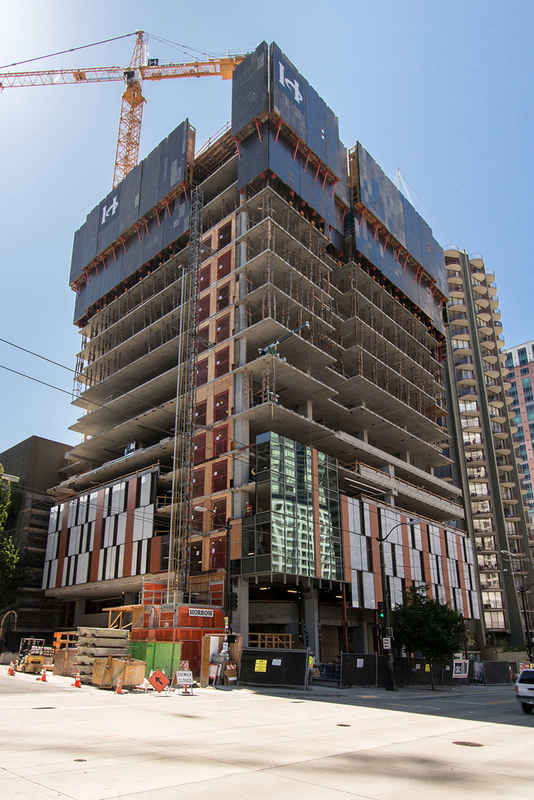 Premiere on Pine's efficient building design is also attributable to the advantageous use of post-tensioning and an efficient structural system layout.